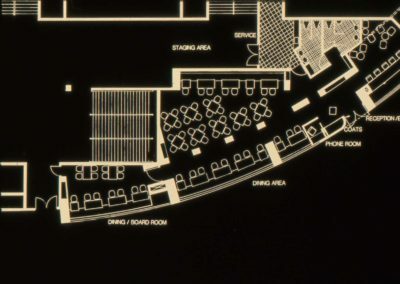 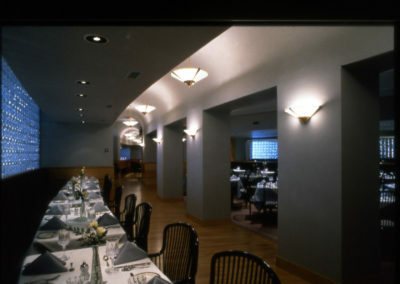 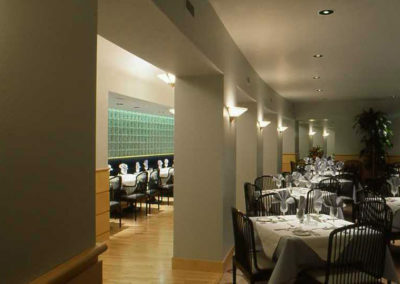 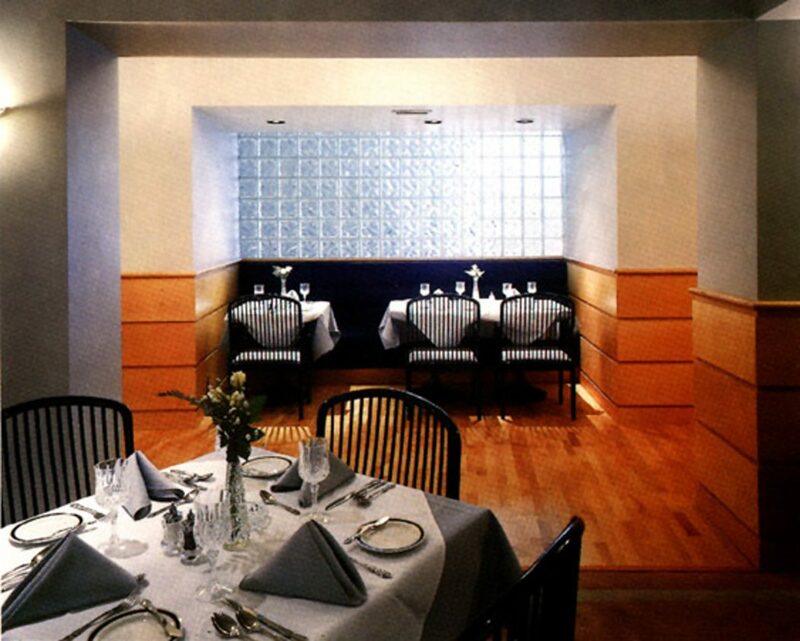 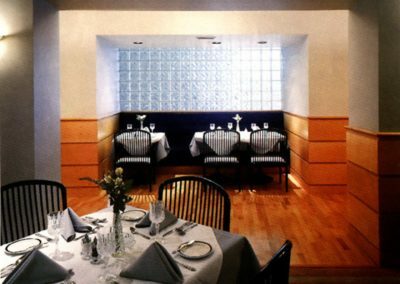 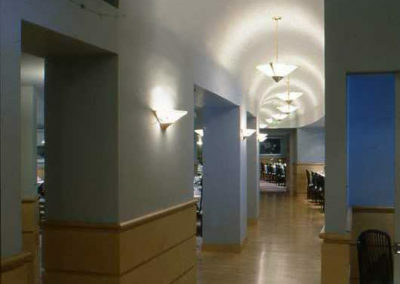 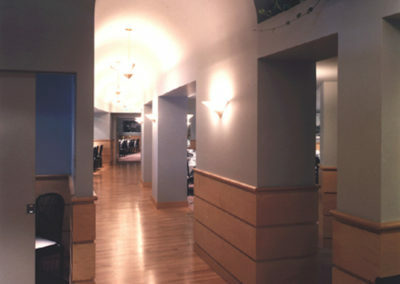 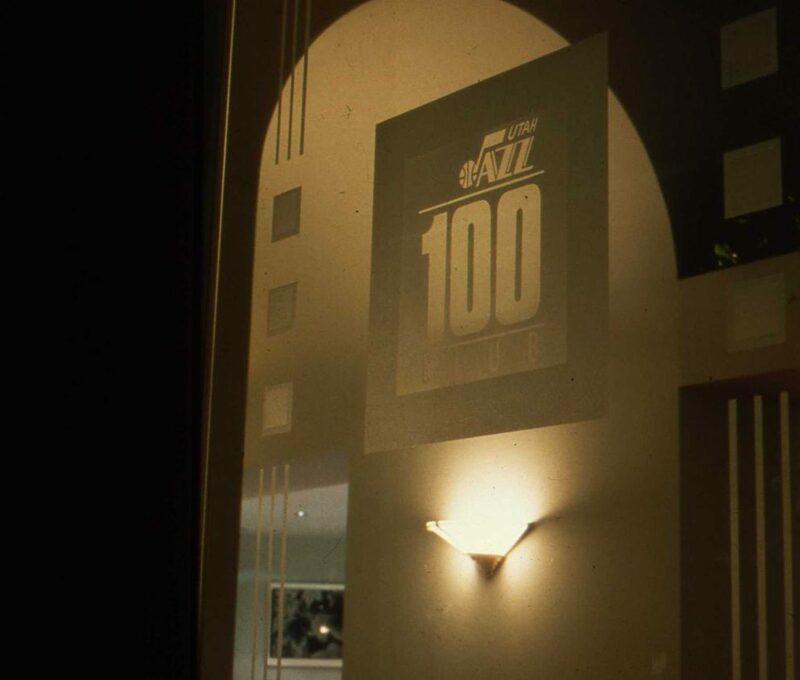 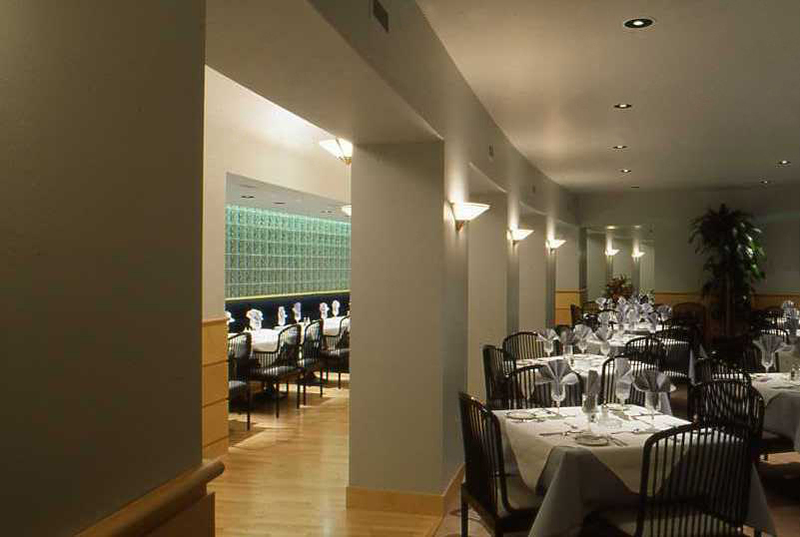 A private club for the Utah Jazz basketball (NBA) team’s booster organization, this 2,700 square foot private dining and bar facility was located under the seating in the old Salt Palace. 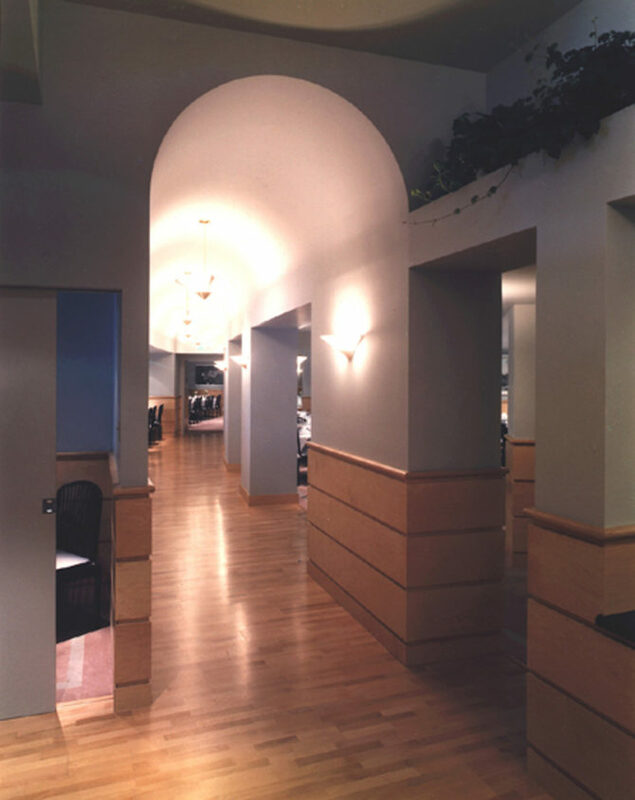 The challenge of this project was carving the needed space from an existing storage and mechanical areas. 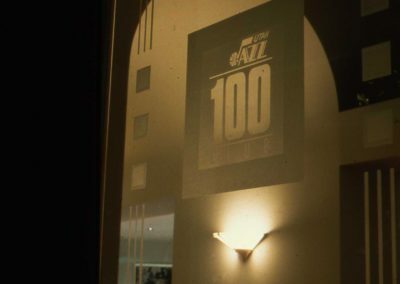 The main circulation space is scaled to the Jazz players, who met the club members after the game. 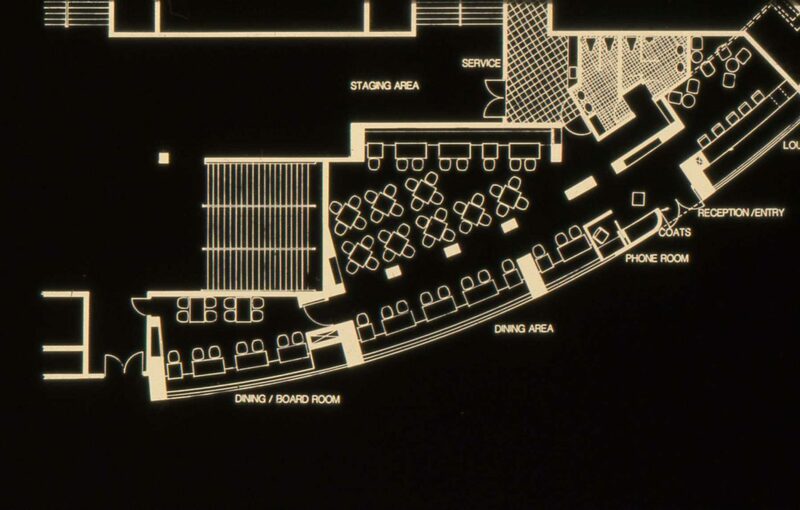 Tables, lectern, hostess podium, graphics and tableware were also designed. 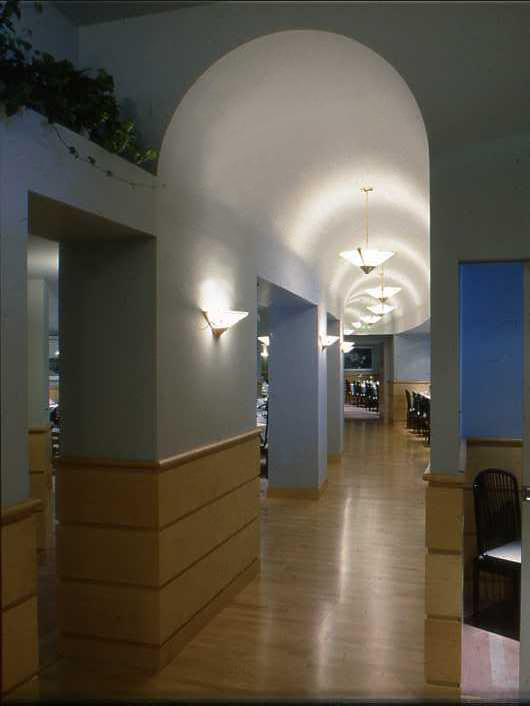 The project was designed and constructed under Gensler with transition to Kier Pollard John Architects.